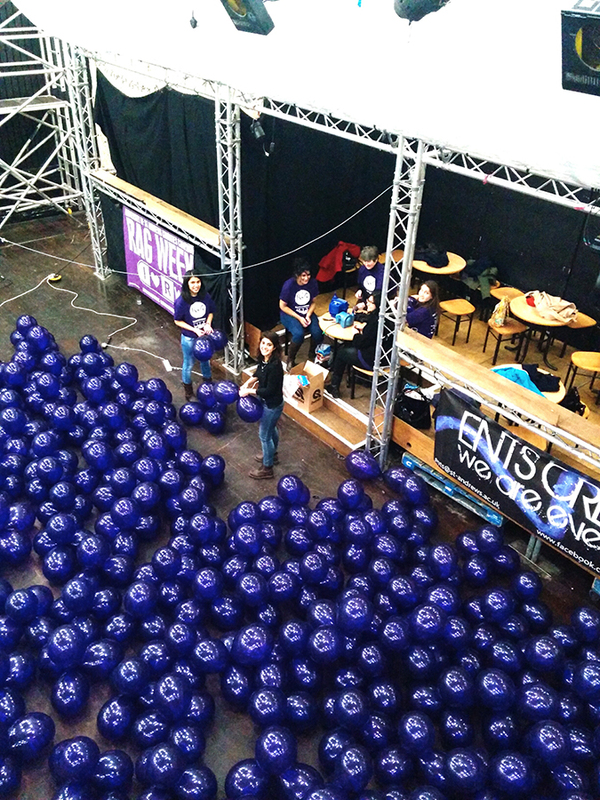 It’s RAG week 2014 at St Andrews, so the Ents Crew once again gets to play with thousands of purple balloons (purple is the RAG colour). 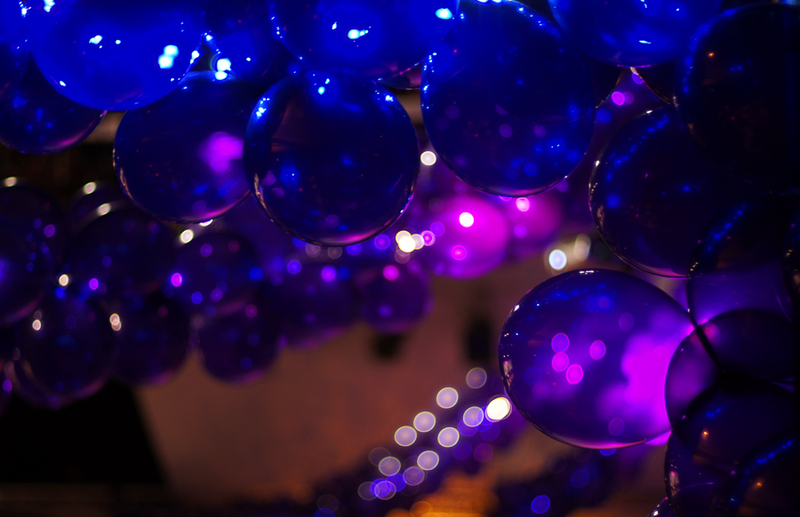 This year we tried something new & twisted jewel tone (translucent) balloons around strings of (LED) fairy lights – the same way that you twist them around arch line to make an arch. I thought it would be fun to wear my GoPro whilst making one of the lines so here’s the result!